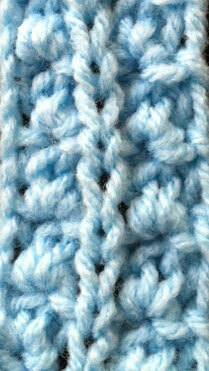 This is another simple pattern - only 2 rows so it is very easy to remember too. The only thing you may find hard about this stitch is the purl 3 together, knit 3 together, purl 3 together into the same stitch. I have a couple tips at the end of the video for this.